Daily Fantasy Sports: Is It Gambling? If you are a listener to talk radio or a viewer of major sports channels, you have undoubtedly been bombarded by ads for DraftKings, FanDuel, and other online sports gambling sites that promise the opportunity to win millions. If not, then you may have become aware of the controversy surrounding these Internet gambling operations due to the lawsuits that have been filed against them in venues across the country. Regardless, the rise of “Daily Fantasy Sports,” as it is called, is causing some to scratch their heads and question whether or not this seemingly innocuous form of sports betting is truly gambling. After all, it is modeled after non-gambling fantasy sports leagues that friends and families have enjoyed together for years. In reality, the sudden growth of FanDuel and DraftKings is not, as it seems, spontaneous and the result of an online game gone viral. Rather, it is the carefully crafted strategy of powerful gambling interests working to evade federal and state laws under the cloak of Daily Fantasy Sports. Like most other forms of high-stakes gambling, the practices of these operations are predatory, deceptive, and illegal, and they occur at the expense of everyday citizens. These games, in particular, are also heavily targeted at luring a whole new generation of young people into gambling and getting them hooked. Season-long fantasy sports started as a hobby and a form of community. It is a social activity, where the trophy matters more than the money. In contrast, “Daily Fantasy Sports” is a fleecing operation, plainly incorporating the three elements of gambling: consideration, chance, and prize. In season-long games, participants may exercise considerable skill in operating a team. They have to figure out who to draft, select who plays, make or reject trades, and analyze player and team statistics—all in hopes of having a successful season. Participants typically accumulate points based on the statistical accomplishments of the athletes they have selected to their teams through a draft. As originally conceived, these games were played between friends over the course of a sport’s regular season. Internet gambling operators like FanDuel and DraftKings altered both the traditional structure and the business model. 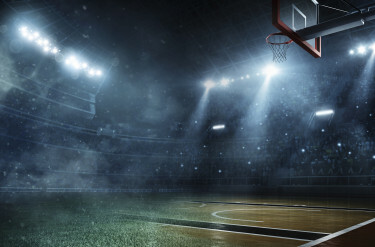 Daily Fantasy Sports contests restart constantly and typically are played against strangers. Contests don’t begin with a draft. Instead, contestants are given a “salary cap” with which to choose real players. Players’ “prices” correspond with their perceived ability. For example, it might cost $10,000 in “salary cap” money for star quarterback Tom Brady and $6,000 for a lesser quarterback like Matt Ryan. Winning wagers (“entries” in gambling parlance) are the ones with the best player statistical performances in that day’s games. Players’ stats are translated into fantasy points. Even the people who run online Daily Fantasy Sports sites privately admit they are running a gambling operation like “a casino.” DraftKings CEO Jason Robins acknowledged his website was “almost identical to a casino” in an online discussion three years ago. Daily Fantasy Sports games have a fundamentally different relationship to chance than season-long fantasy games. On a given day, an injury, a snowstorm, or a ball bouncing strangely could affect a result. In this regard, placing a wager with a Daily Fantasy Sports operator is very similar to placing a bet with a bookmaker. Sports gambling operators deceptively claim that Daily Fantasy Sports is “a game of skill,” but the presence of skill is irrelevant. Even if you were to argue that a “skilled” player is not gambling, then it would also be true that a lesser or unskilled player must be gambling. The very existence of skilled players–who are playing with an edge and for a profit–depends on the presence of lesser skilled players willing to gamble at a disadvantage against them. You can’t have a skilled Daily Fantasy Sports player without a compensating gambler. While any player might get lucky on the back of a handful of entries, over time nearly all of the prize money flows to a tiny elite equipped with elaborate statistical modeling and automated tools that can manage hundreds of entries at once and identify the weakest opponents. Both Internet gambling and commercial sports gambling are illegal in almost every state in America, including North Carolina. No demographic is a bigger target for Internet sports gambling operators than America’s youth. This is especially concerning because it is well-established that the younger children start gambling, the more likely it is they will become habitual gamblers and also problem gamblers, regardless of whether they are from an urban or a suburban community. According to data from the Fantasy Sports Trade Association, almost 10 million of the estimated 51.6 million fantasy sports players are under 18. One of the companies to launch its own sports gambling operation, Yahoo, has recruited thousands of minors to play free fantasy sports. The obvious business model is for Yahoo to convert these “for-free” players into “real-money” gamblers. Such youth are at risk of being lured into real money gambling whether at Yahoo, or other Daily Fantasy Sports gambling sites. Some have called for government regulation as a “solution” to the problems created by the proliferation of Daily Fantasy Sports, but there is no need to speculate about what “regulated” online gambling really means. Simply look at the evidence listed below to see how government’s experiment with state lotteries and regional casinos has failed. There is no location in America where government-sponsored gambling has collectively improved the lives of citizens, long-term. Government’s “regulation” of gambling has failed on almost every measure. A mountain of independent evidence confirms that government’s experiment of sponsoring lotteries and regional casinos is contributing to rising unfairness and inequality in our nation. It has concentrated commercial gambling in economically-distressed communities, targeting citizens from the lower rungs of the income ladder. Low-income workers, retirees and minorities, comprise a disproportionately large share of lottery and regional casino users. The real reason for this is that those who are financially desperate look to government-sponsored gambling as a way to improve their lives and help them escape their financial condition. By targeting the least advantaged, government-sponsored gambling adds to the increasingly separate and unequal life patterns in education, marriage, work, and play that now are dividing America into haves and have-nots. At least 1 out of every 20 citizens has had their lives turned upside down because of commercial gambling, most of which is sponsored by government. Some gambling addicts turn to crime in an effort to feed their addiction, leading them to steal or embezzle money, landing many in prison. Others are ruined financially, left in a state of inescapable poverty. This figure does not account for the reality that each gambling addict has at least five people close to them whose lives are also upended because of gambling. These citizens, both young and old, suffer in many ways, including countless incidents of neglected children left locked in cars in casino parking lots, or abandoned at home while a parent gambles away the family’s money. Imagine how many kids will suffer if we permit state government to essentially allow a casino to open in every living room in North Carolina by legalizing Internet gambling like Daily Fantasy Sports? Public officials have taken virtually no action to address this public health crisis possibly because these addicted gamblers are the prime source of profits for state-run gambling. It is unfounded to suggest that if online gambling such as Daily Fantasy Sports is authorized, the government will regulate it differently. Government’s record on lotteries and regional casinos shows its primary purpose is to maximize profits, not protect the public health. For the two-thirds of citizens who never or rarely gamble, state-sponsored gambling is a disastrous budget gimmick. The facts show that where states authorize commercial gambling, all taxpayers—including the non-gamblers—end up paying higher taxes for fewer services, and their states end up with worse budget problems over the long term. This is because casinos and lotteries have proven to be a failed source of government revenue and have not delivered on their promises to fund education, lower taxes, or pay for needed public services. Gambling revenues do not tend to grow as rapidly over time as general tax revenue or expenditures on education and other programs. New gambling operations that are intended to pay for normal increases in general state spending add to, rather than ease, long-term budget imbalances. Allowing states to sponsor online gambling such as online fantasy sports gambling will only deepen this downward spiral, forcing the taxpayers who don’t gamble to foot the bill. For all of these reasons, citizens and government leaders in North Carolina should press their law enforcement communities and prosecutors to follow the lead of states such as New York and Illinois, where state Attorneys General have essentially shut down Daily Fantasy Sports operations. Les Bernal is National Director of the Stop Predatory Gambling Foundation.